In our Ultra-Sun & Ultra-Moon Event, the amount of prizes may vary. We want to maximize the amount of prizes within a reasonable budget and participating members. The prizes vary between 4 and 8 depending on the total number of participants in our annual 2017 summer events. We'll be looking for the best deals in the best effort to increase the amount of prizes to 10, 12, 15, or even more. The more participants there are, the more incentive there is for us to give more away! NOTE: Whether Top 25 or Top 30 is used depends on the amount of participants. Event rules, policies, point system, type of events, and (but not limited to) amount of prizes may change at any time without notice up until the event is over. Each Member can only win one copy per event. Prizes have limited PAL & North American region copies. All winners will be required to sign an Event Application form to claim the prize; anyone that is 17 years old or younger, or required by law to have Parental/Guardian permission will have to appropriately get those permission and the form signed. Otherwise we may draw new winners for those that cannot properly complete the submission forms. Be sure to find out which region your 3DS is. We are not responsible for members getting a copy that does not work on their 3DS (if members were under the assumption that it will work). The PAL versions that we're able to provide are from Australia and we offer absolutely no guarantee that they will work for any 3DS region locked outside of Australia. Our North American region copies are from Canada and we also offer no guarantee that these games will work on any North American 3DS that are region locked outside of Canada. But past winners have had success with Canadian copies working on American region locked 3DS. The entire event/competition is to promote a positive & fun atmosphere. Any dishonest tactics or behavior will not be tolerated. False trading to earn points, false information about Pokemon on giveaways or giving away other people's bred Pokemon in your shops will not earn points at all. Any dishonest acts found or deemed suspicious may lead to loss of points & banishment from the event(s). Please note that information about this event may change without warning. Online Activity: Be active on GTS & PO daily. Each post, and thread you make on a daily basis during the event will earn points. The more consistent you are, the more bonus points you will earn. Referrals: Referrals to GTS will be an automated way to earn points. PO Tier Battles: Log your battles into the Battle Logs section as required. Wi-Fi Tier Battles: Log your battles into the Battle Logs section as required. PokeTrade: Full-filling requests made by members on PokeTrade will also earn points. PokeLeague: Participants will get points. Winners of each League will earn a large bonus amount. PokeGift: Within a 24 hour period, the more posts you made, the higher the odds you have at opening a PokeGift box with a higher value PokeBall. PokeHunt: Each day, Pokemon will appear on the board! Finding them will earn points. Giveaway Shops: Host a different giveaway weekly to earn points! And other spontaneous bonus events will randomly occur on our Pokemon Online server during this event. 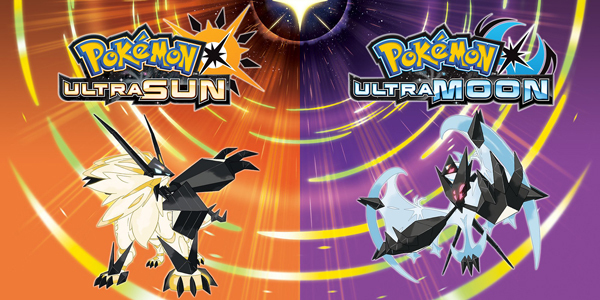 In the end, the Top 25 or Top 30 ranked players with combined points from all the events will be entered in a draw to win a copy of Sun or Moon. The higher the rank, the higher the odds players have at winning. The event will begin on early July 2017 and will run until approximately until the September/October 2017 sometime. More accurate dates will be announced as we approach closer to the summer. PO & GTS site logs will be reviewed for online activity. The more active the participant is, the more points they will be awarded. Joining the PO server or visiting the site won't be sufficient. We'll be reviewing activity logs for chat & battles on PO, and posts on the GTS forum. Each thread & post you make, will earn you points on GTS forums. For each referral you refer to GTS, you will earn points. For every post/thread they make, you will earn points. For every day/week they're active, you will earn points. Board rules apply, so participants cannot make duplicate accounts. No unsportsmanlike conducts such as but not limited to; causing delays or attempting to do speed runs that leaves others out of the games. All PokeLeague rules apply including: No unsportsmanlike conducts such as but not limited to; causing delays or attempting to do speed runs that leaves others out of the games. All participants will earn points and the winning teams will earn bonus points! Must post without spamming, and can only open the gift box once per day. Limited Pokemon will appear on the board throughout each day during the events. Finding them, will earn points. It's like Pokemon Go on GTS! Fulfill requests posted by members on the PokeTrade to earn points! Setup 1 new shop per week to giveaway different Pokemon. You will earn points based on activity. Minimum of 1 Pokemon per shop, but the more options you have, the more bonus points you will score.